During the off season, our goal is to guarantee the quality of training and playing that will make a difference for every youth player and provide continuity to their development. 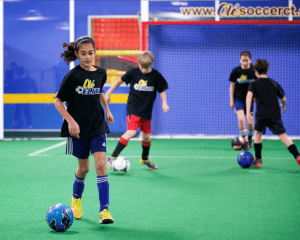 In addition to the experienced and nationally certified coaching staff, Ole’s player development curriculum will certainly reach each young player and provide a higher level of individual decision-making and technical skills/ball mastery. Ole’s off season training programs have been a great success and it keeps on getting better. The proof is in the families who keep coming back year after year, as they have seen what our program has done for their children, on and off the field. Where: Ole Soccer located at 525 Tunxis Hill Cutoff, Fairfield. For specific questions, please contact Gustavo Reaes at oleelitesdevelopmental@gmail.com or call 203-873-0309.